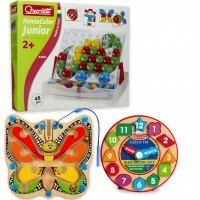 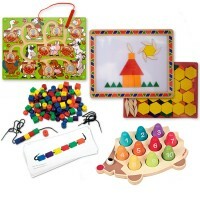 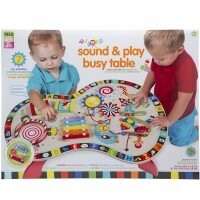 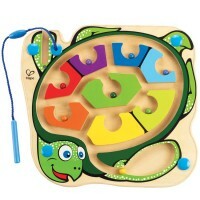 Your child will love to guide the colorful marbles with the magnetic pen through this Hape train hand-held maze. 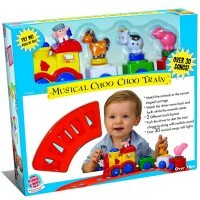 Choo choo the colorful muzzle along the maze tracks! 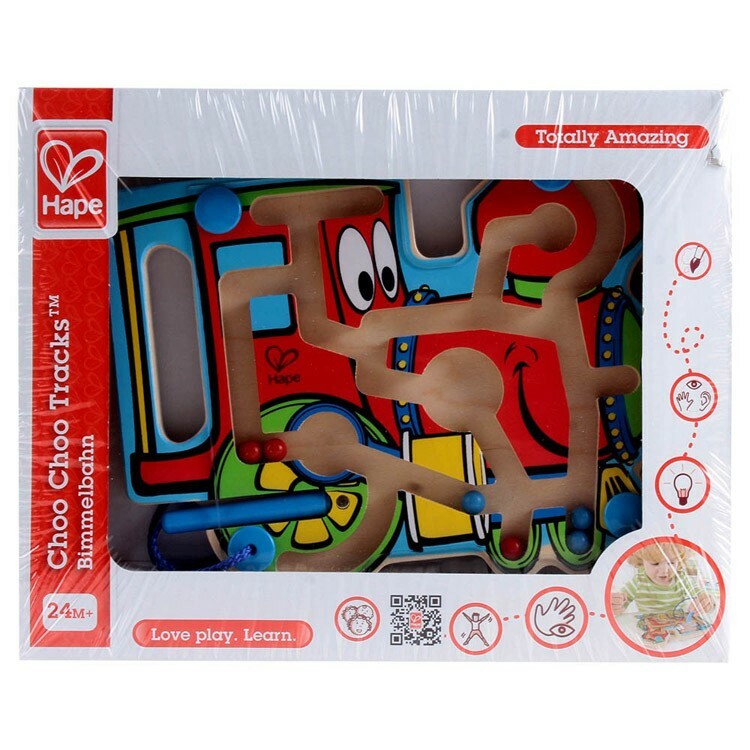 Choo Choo Tracks Magnetic Wand Marble Maze by Hape is a colorful train engine shaped wooden board with the attached see-through plastic cover and a magnetic wand. 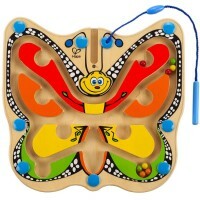 The train board features wooden maze inside. With the blue choo-choo wand guide the marble along the maze paths and learn how to track them down to various spots on the maze board. 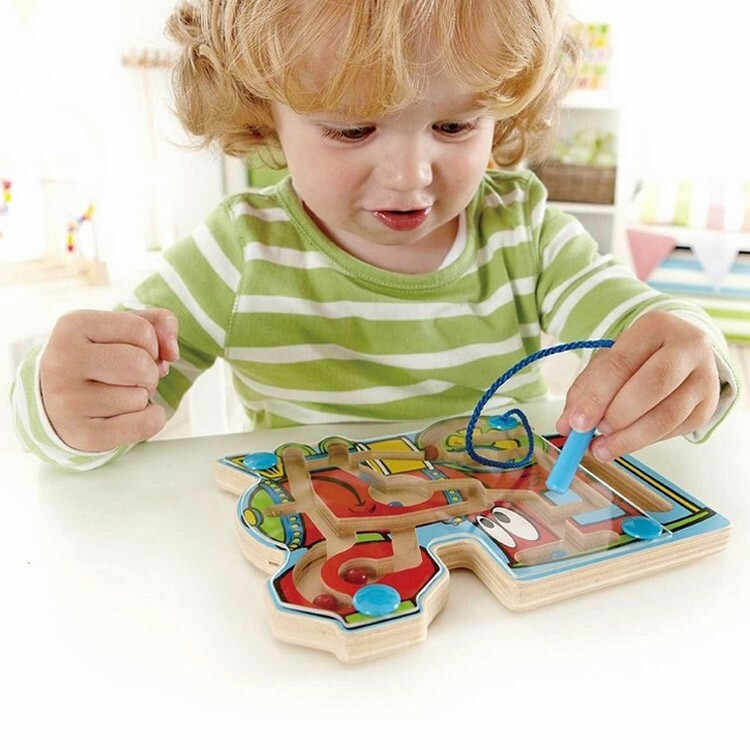 Choo Choo Tracks Magnetic Wand Marble Maze is a great manipulative activity for toddlers or preschoolers, and especially train lovers.This toddler motor activity toy, offered by Educational Toys Planet, meets the highest safety standards and all small pieces are non removable.The train shaped wooden maze is easy to take along and carry. 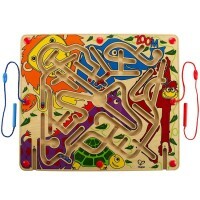 This hand-held maze features a carrying handle on its side. 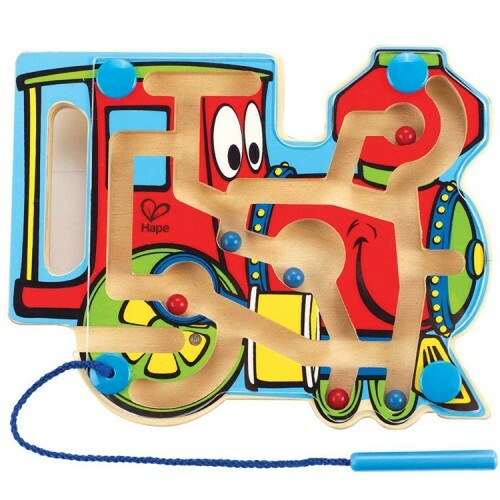 All aboard this award-winning wooden train to solve the maze pathfinding! 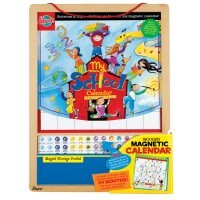 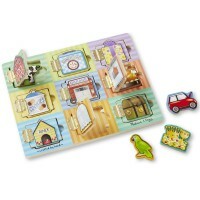 Dimensions of package 0.83" x 7.68" x 6.14"
Write your own review of Choo Choo Tracks Magnetic Wand Marble Maze.